This is a beguiling and imaginative read, about an eccentric group of characters that remain individually believable even though in any combination they produce a potpourri with very weird odours and even whiffs of the macabre. Zany humour adds bounce to articulate flowing prose, making this book an easy yet rewarding read. I think of this as light literary fiction, with flourishes from, yes you guessed it, a potpourri of genres. Murder is the central focus, though the crime itself is really just a plot device to help us explore the psychology of the small town, rural, American characters. 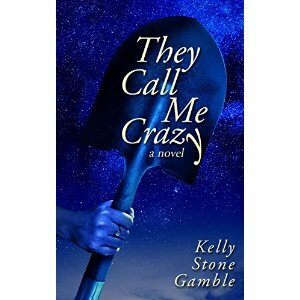 The book is so pacy and easily absorbed, painting such graphic pictures, that I found myself drawn to compare it with elements of zany type TV series like Northern Exposure, Desperate Housewives, without the omnipresent voice, or even some of the irreverence and immediacy of character penetration in Breaking Bad. The multiple POV first person writing works a treat here, letting one get a very real feel for the characters and their view of the world. Each chapter is written from a different POV, with the main characters have the most chapters. I can't think of any comparisons with other authors that would be helpful, though I'm sure I've read at least one story by William Faulkner that has a similar feel. However vague and inaccurate my indication of style, I need to convey the sense of the immediacy and vividness of TV that comes through in Gamble's writing. Please try to believe me- this book is well worth a try. If you start I'll be amazed if you don't finish, and what stronger claim to the books quality could I make than that. Actually, if the first couple of chapters don't get you then sling it. There won't be many bruised cats, or broken Kindles, I'm sure.